(CHICAGO) – Feb. 8, 2017 – Central City Productions announced today select performers for the 2017 Stellar Awards. Hailed as an “epic night in gospel music,” this year’s Stellar Awards will return to the Las Vegas Orleans Arena on Saturday, March 25, 2017. The telecast will premiere on TV One Sunday, April 9 at 7 p.m. ET with encores at 9 p.m. and 11 p.m. ET. 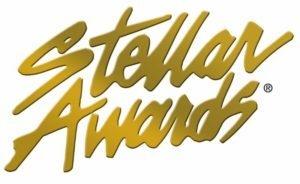 In addition, the Stellar Awards will air in national broadcast syndication on 170 stations in over 150 markets around the country from April 15 – May 7, 2017. Stellar Awards Founder Don Jackson will bestow special honors upon gospel legend Spencer Taylor Jr. (of the Highway QCs), this year’s recipient of the James Cleveland Lifetime Achievement Award; and the Ambassador Dr. Bobby Jones Legends Award honoree, the Reverend Dr. Clay Evans. Stellar Honors Hall of Fame Inductees include Fred Hammond, Mississippi Mass Choir, and Dr. Leonard Scott. 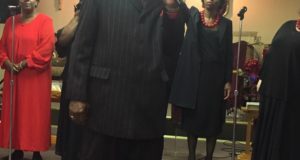 The Stellar Gospel Music Awards Pre-Show is scheduled for Friday, March 24, to showcase non-televised award winners, including superstar Harvey Watkins, Jr. (of the Canton Spirituals), the recipient of the Thomas A. Dorsey Most Notable Achievement Award. Among the artists performing that evening are C. Ashley Brown-Lawrence, Micah Stampley, Janice Gaines, Latice Crawford, Myron Butler, Charles Butler & Trinity, The Wardlaw Brothers, Kinsmen, and the Howard Gospel Choir of Howard University. Also, the Stellar Gospel Radio Awards & Showcase will be held on Saturday, March 25, honoring top radio stations and announcers serving urban gospel music audiences. Performers include Zacardi Cortez, Ted Winn, Cheryl Fortune, Luther Barnes, Enon Tabernacle Choir and Brian Courtney Wilson. Tickets for each event can be purchased at www.ticketmaster.com. 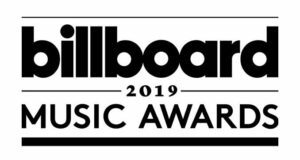 Some of the biggest names in gospel are being added to the growing list of performers and presenters appearing in this year’s show. Follow us on social media for the latest news and updates about the greatest night in gospel! When will the stellar awards air on television? Not sure yet, though if it’s live, it will be telecast on March 25. Check out http://www.stellartv.com periodically for more details.